Cheers fellow horror enthusiasts, now you’re in the sunken place! Great to be back here writing this blog, after such a horror oriented Academy Awards. Congrats to Get Out! Forward to Night Visions 2018, Scandinavia’s biggest horror film festival, which is held once again in Helsinki, this time letting in ghosts, witches and other paranormalities. Jeremy Dyson and Andy Nyman co-directed Ghost Stories is possibly the festival’s most awaited piece this time, already hailed as the most frightning film of the decade in UK. Ghost Stories is traditional horror storytelling with a well-known cast, starring alongside Andy Nyman are Paul Whitehouse (The Fast Show) and Martin Freeman (Sherlock, The Hobbitt). If you’re interested in more British hauntings, Night Visions 2018 is also offering Ashley Thorpe‘s documentary Borley Rectory: The Most Haunted House in England. Borley Rectory, a 1862 built and 1939 burned Victorian, Gothic-style house was paranormally active throughout it’s existence. The house gained special notoriety after the investigations of psychic researcher Harry Price. Borley is the very definition of a haunted house. However, my personal favourite on the festival might be Pascal Laugier‘s Incident in a Ghost Land, which sounds like a promising return to the ruthless and clever storytelling of Martyrs (2008). 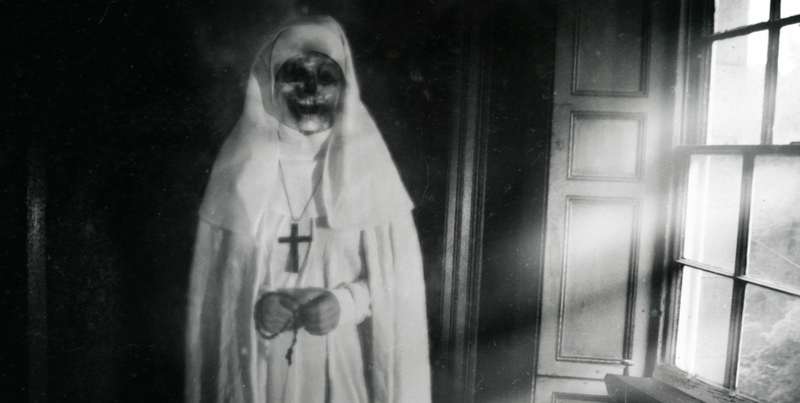 As a subject, ghosts have been strangely absent in Nordic horror. Today is no different: there’s only one Scandinavian film on the festival and that one doesn’t even have ghosts in it. Isabella Eklöf‘s Holiday revolves around a classic triangle drama, featuring the trophy girlfriend of a petty drug lord, caught up in a web of luxury and violence in a modern dark gangster tale set in the beautiful port city of Bodrum on the Turkish Riviera. If you have any Nordic ghost stories you would like to share or see filmed, please comment!